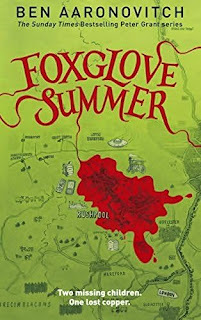 The Peter Grant books have become one of my favorite series and Foxglove Summer is another great entry. First off, Aaronovitch gets the main character out of his usual comfort zone and deep into the country, but the storytelling is just as strong and crisp as always. All the usual stuff fans have come to expect are present: the quick plot, the snappy dialogue, as well as the numerous genre references. Peter is once again in fine form, though he is obviously changed due to Lesley’s betrayal. He gets a new romantic interest, the identity of which should not be surprising to those to have read this far. The big difference with this book is of course the change in location. Set in the rolling hills and rural area of rural western England obviously changes things a little, though the short digressions into historical detail remain. Once again, it is clear Aaronovitch has done his research to make the location feel true. The big fantastical bit of this book is the heavy focus on the fae. I don’t want to say too much so as not to spoil anything, but those who have read some other stories with the fae and the countryside may have some idea of what happens. It’s hard to think of any drawbacks with this book. If there is any problem with Foxglove Summer, it’s that it’s clearly a middle book. It’s meant to be a breather after the climatic events of the last book, Broken Homes. Personally, I would have preferred to jump right into the overall storyline with Lesley and the Faceless Man, but that’s just me. To be fair, Aaronovitch does start laying the groundwork for future books and we do learn some background stuff like the events at Ettersberg and the genealogy of another character. Foxglove Summer is another great, enthralling entry in the Peter Grant series. It does something a little different while maintaining the quality and tone of the previous books. The only real drawback is that it steps back to take a breather after the last book. Can anyone tell that I really love this series? Give me the next book already! Like the previous book in the Wild Cards series, Fort Freak, Lowball focuses on the cops and the poor, deformed residents of Jokertown. In this book, jokers are going missing and except for a young cop looking to prove himself, the authorities are unwilling to investigate. This means that the jokers and other wild cards take matters into their own hands. The deeper they get, the higher the stakes get and the seedier the search becomes. Like the previous books in this long-running series, the stars are the characters: the aces and jokers drastically changed by the Wild Card virus. Characterization and interaction are both mostly good. Most of the stories are good, though like Fort Freak I didn’t care for all the contributing authors. Cassutt’s writing has just never worked for me. And in Mohanraj’s story, a character makes a rather stupid decision that felt like it was done purely for drama. Unfortunately, there also seemed to be an editing problem. While some of the stories are good, the whole was less than the sum of its parts. Stories by Vaughn and Tregillis were well written, but they featured characters from the previous series Committee “triad” and it felt like they were only included in order to carry the plot forward. The plot was one of the weakest parts of the book. It took a little while to get going and felt a bit like a B-movie/TV story. It’s also a bit thin and while it mostly gets resolved by the end of the book, the reader suddenly gets a strange cliffhanger ending. So all in all, Lowball is a decent Wild Cards book, but not a very satisfying one. It has good characters and interactions; however, the B-movie/TV plot feels a bit stretched. And while some of the stories are good, the whole is less than the sum of its parts. In this first-ever anthology of Indigenous science fiction Grace Dillon collects some of the finest examples of the craft with contributions by Native American, First Nations, Aboriginal Australian, and New Zealand Maori authors. The collection includes seminal authors such as Gerald Vizenor, historically important contributions often categorized as "magical realism" by authors like Leslie Marmon Silko and Sherman Alexie, and authors more recognizable to science fiction fans like William Sanders and Stephen Graham Jones. Dillon's engaging introduction situates the pieces in the larger context of science fiction and its conventions. I found out today that sci-fi author Tobias S. Buckell has started a Kickstarter project to publish his third collection of short stories. This is his second Kickstarter project, the first two being the fourth novel in his Xenowealth series and titled The Apocalypse Ocean, and the second was his second story collection, Mitigated Futures. Both were well written, well-put together, and delivered in a timely manner. This project is called Xenowealth: A Collection. 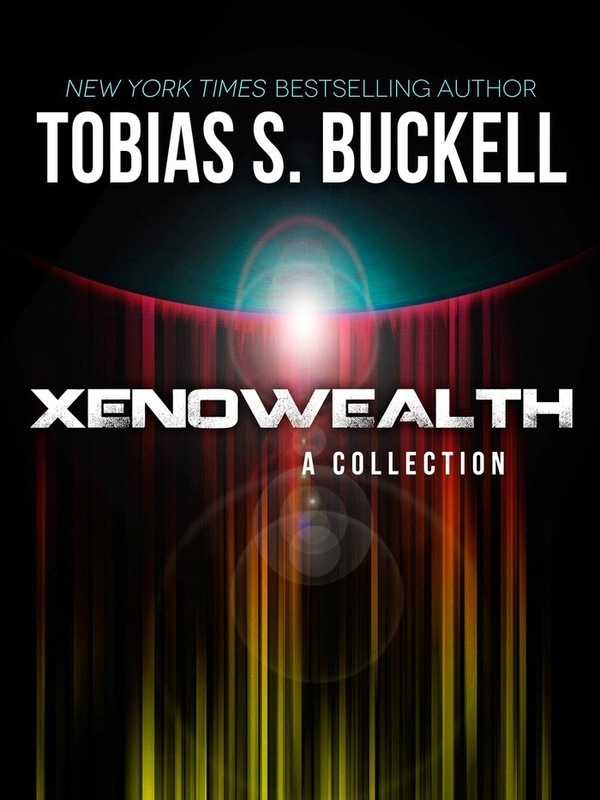 a collection of stories set in the Xenowealth universe. I believe all of the stories star the character, Pepper. If you're a fan of the books, I'm sure you're familiar with him. The project only started today, but it's already reached its funding goal as well as two stretch goals. It would be nice to see the project get even farther. If you're a fan of Buckell, I think this would be a worthy project to invest in. You can visit the project site here. 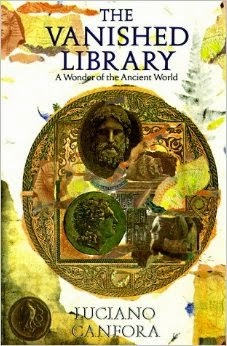 The Vanished Library, as library fans may guess, is about the lost library of Alexandria. It imagines what the library might have been like by examining contemporary accounts from the ancient world. Somewhat interesting for history buffs, but it's a little dry and I feel it doesn't really go far enough to bring the accounts across to a more modern audience. Being a huge fan of George R.R. Martin's A Song of Ice and Fire as well as a sucker for world-building, it's not a big surprise that I just had to pick up this book. Sort of an artbook, sort of a fictional history book, you could probably call this a sourcebook/guidebook to the history and world of the series. Sometimes Martin gets a little carried away with the details, but the details are certainly worth it for more background on the characters, lands, and houses. I also really loved reading about areas of the world that we haven't seen yet in the books though the lack of entries for Qarth and Slaver's Bay seems rather curious. Possibly an oversight? Wow, this is an oldie. Written in 1960, a full eight years before The Last Unicorn, this is Peter Beagle's debut novel. It's a short, quiet, introspective little book about two ghosts, a man who lives in a cemetery, and a cynical, talking raven. There is a great deal of examination about issues of death, dying, and living by those on both sides of the great divide. Perhaps worth a look if you're a fan of Beagle. Meet the Cooke family: Mother and Dad, brother Lowell, sister Fern, and our narrator, Rosemary, who begins her story in the middle. She has her reasons. “I spent the first eighteen years of my life defined by this one fact: that I was raised with a chimpanzee,” she tells us. “It’s never going to be the first thing I share with someone. I tell you Fern was a chimp and already you aren’t thinking of her as my sister. But until Fern’s expulsion, I’d scarcely known a moment alone. She was my twin, my funhouse mirror, my whirlwind other half, and I loved her as a sister. When Jala meets King Azi of the Five-and-One, she forgets everything her family told her to do. She was supposed to be meek and charming. She wasn't supposed to be herself. And she wasn't supposed to fall for him. 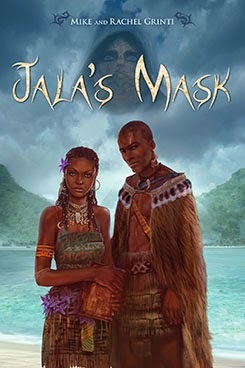 When the king defies his family and proposes to her, Jala finds herself the islands' new queen. Now she's cut off from her family and despised by the king's advisers. Even her feelings for Azi, that seemed so clear when they were alone, are anything but clear amid the politics of the islands' ruling families. On the second night after Jala's wedding, the islands are invaded by ships arriving on a tide of magical fog. One of the islands is left in ruin. Others haven't been heard from. And there might be more invaders on the way. If Jala can convince the noble families to work together, they might stand a chance, but she must choose between her family, her love for Azi, and saving her people. This book from the author of the seminal The Handmaid's Tale is set in the future in the wake of an apocalyptic disaster. Snowman, aka Jimmy, may be the last human on earth after a genetically engineered virus wipes out most of mankind. His story is told mostly in flashback, showing us the events that led up to the disaster and showing us not only what happened but why. This book is cautionary tale from multiple angles on some of the dangers from capitalism, rampant genetic engineering and so on, but also from the other side if we go too far to try to correct things. 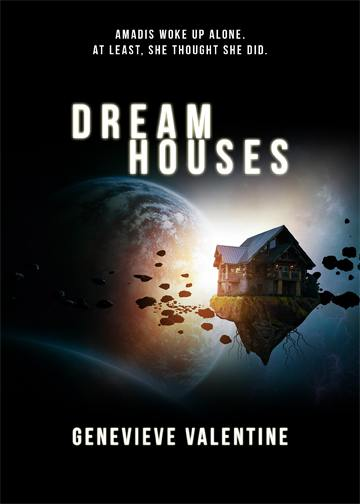 Dream Houses is a limited edition novella written and published for this year's Capclave, a SFF convention in Washington D.C. The story is about a woman who works as a grunt on a freighter run to a nearby star system, but wakes up early to find her crew dead and she faces a long voyage alone with the ship's A.I. It's basically a tale about what happens to a person when they face madness from a long time alone with no people for company. The story is well told, though it didn't feel like anything that I hadn't already read before. Like the forward of this book says, "you may not want to buy this book." The reason why is because it's a short story about Auri, a secondary character from The Kingkiller Chronicles. It doesn't further the main trilogy storyline, nor does it feature any other characters from the books. All it does is follow Auri in a small period of time to show us what her life is like in the tunnels of the city and university. On the other hand, being a Rothfuss story, it is of course very well told and certainly worth a read if you don't mind something a bit different. Anansi Boys is sort of a sequel to 2001's American Gods in that it is set in the same world with one character from that book. However, that character, Anansi, has only a very small role and the story is really about his sons. The style of the book is also different in that it is smaller in scope, more about family, and is also much lighter and funnier in tone. If you're a fan of Neil Gaiman, then this book worth a look. 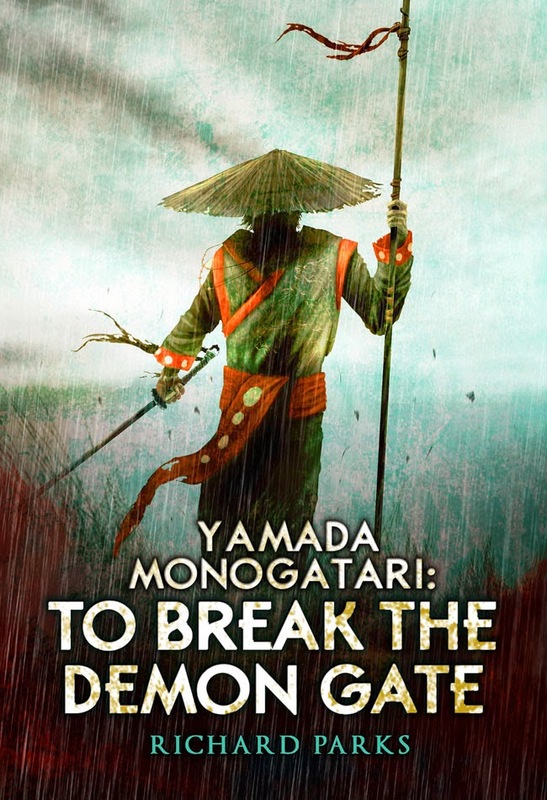 Yamada no Goji is a minor nobleman of ancient Japan who has lost everything - except a single purpose: keep a promise to the woman he loved. In order to fulfill his vow, all he has to do is fight a horde of demons and monsters, bargain with a few ghosts, outwit the sinister schemers of the emperor's court, find a way to defeat an assassin who cannot be seen, heard, or touched - and change the course of history. Fortunately, Yamada specializes in achieving the seemingly impossible, so he is sure in some way to succeed...if he doesn't drink himself into oblivion first.